Set out to discover Chinese culture on Tree of Fortune Slot at Wicked Jackpots! It is a creation of iSoftbet with 5 reels and 243 ways to win. Packed with special features, this slot is a visual treat. It is set against a red backdrop, symbolising good luck and happiness. As for the reels, they are enclosed within a golden frame. They are also full of symbols like the Golden Rooster, Golden Cat, Gold Coins, Lotus Flower, Firecracker, A, K, Q, J, 9 and 10. Launch this game at Wicked Jackpots on a mobile phone or desktop. Start by adjusting your bet on Tree of Fortune Slot and when you are ready, click on the Spin tab to enjoy the game. With a combination of 3 or more matching symbols, a win is triggered. Want to take a break without missing the game? The Auto Play option helps you to do so! Simply set a number of spins to be played in rapid succession. Amount of Paylines Selection: All the 243 Ways to win are active and cannot be modified. The Tree of Fortune icon stands for Scatter on Tree of Fortune Slot. It also activates the Free Spins round. Look out for the wild Golden Dragon symbol! It replaces any other symbols in winning combinations, except for the scattered Tree of Fortune. 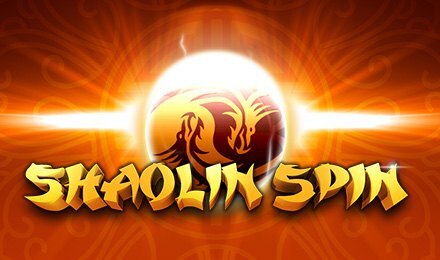 With 3, 4 or 5 Tree of Fortune symbols anywhere on the reels, earn 15 free spins and a 3x multiplier. You can also retrigger this feature. The Re-spin Feature is actived after any normal spin or re-spin. Each re-spin reel comes with a specific cost displayed on it. Only the wins on a re-spin reel are paid out. The feature is unavailable during the free spins round. If you change your coin size, the re-spin options are cancelled for the current reels.